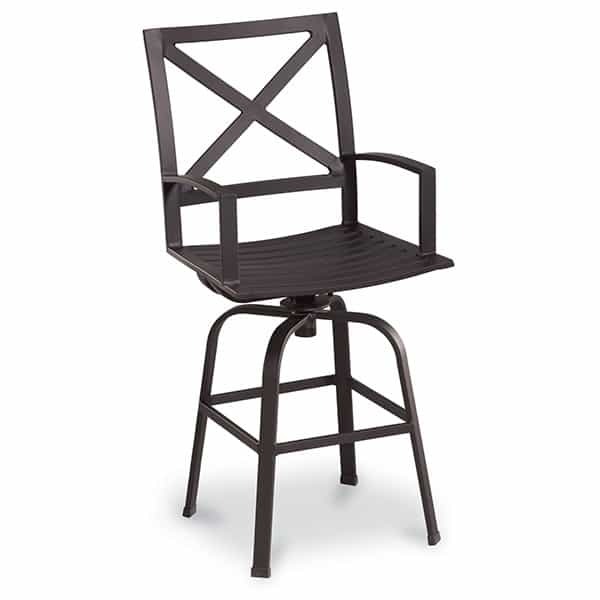 An attractive addition to your home, the La Jolla Swivel Counter Stool is the perfect companion to your outdoor kitchen grill island or indoor counter height bar. The classic X back chair will complement any décor, and the luscious chocolate finish will fit seamlessly into any color palette. Constructed of heavy-duty, fully welded aluminum, the La Jolla will weather the storms and your guests. The La Jolla Bar Stool by Sunset West is available with your choice of easy clean, water-resistant Sunbrella seat pads.